If you haven’t guessed from the name of this blog, I live in the Midwest. Out here in the great corn ocean, we like our meat products, and one of my comfort foods as a kid was meatloaf. My dad would often spoil us by making mini-meatloaves with different toppings (bbq sauce, spaghetti sauce, etc) so we could feel like we had more choice. This is typically a winter meal in my house. We had a cold day last week and took advantage of the temp to make these. I baked two and froze one for a later meal! Preheat oven to 350. Lightly spray oil into two standard loaf pans. 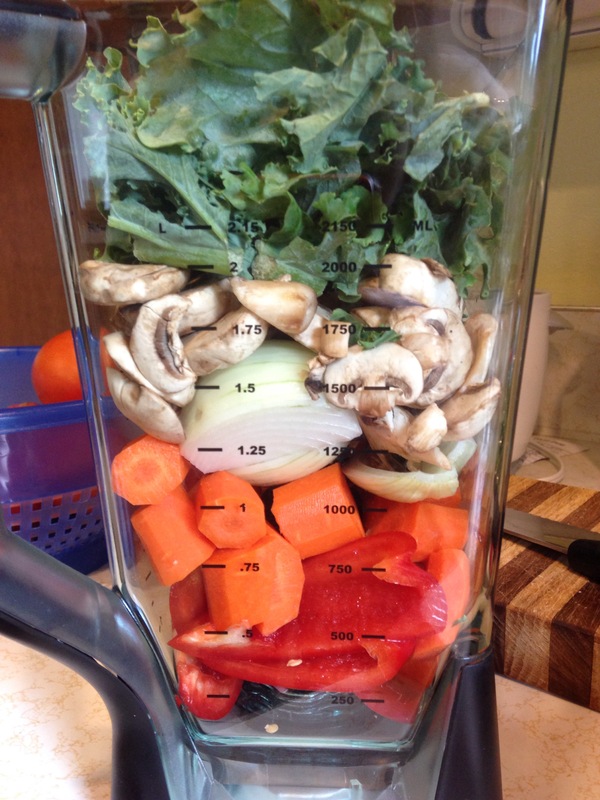 Place onions, carrots, kale, mushrooms, and red pepper into a blender (see pictures) and chop very finely. 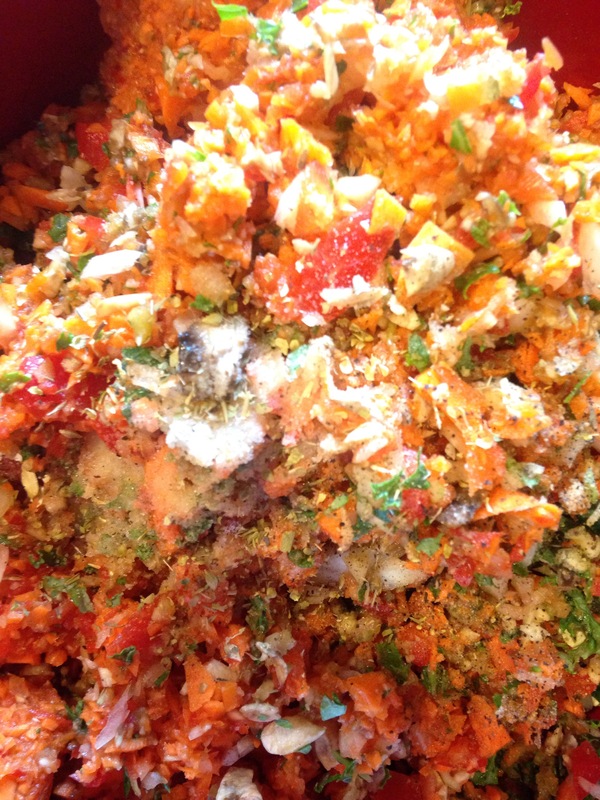 (Optional) Saute vegetable mixture in the two tablespoons of butter. I skipped this step this time, and it still tasted lovely. 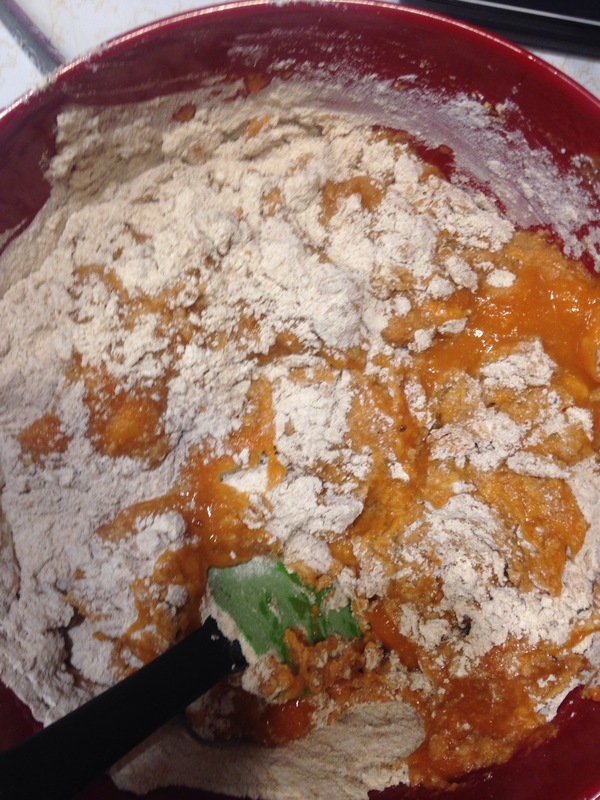 Mix vegetables with rest of loaf ingredients, using hands to knead. 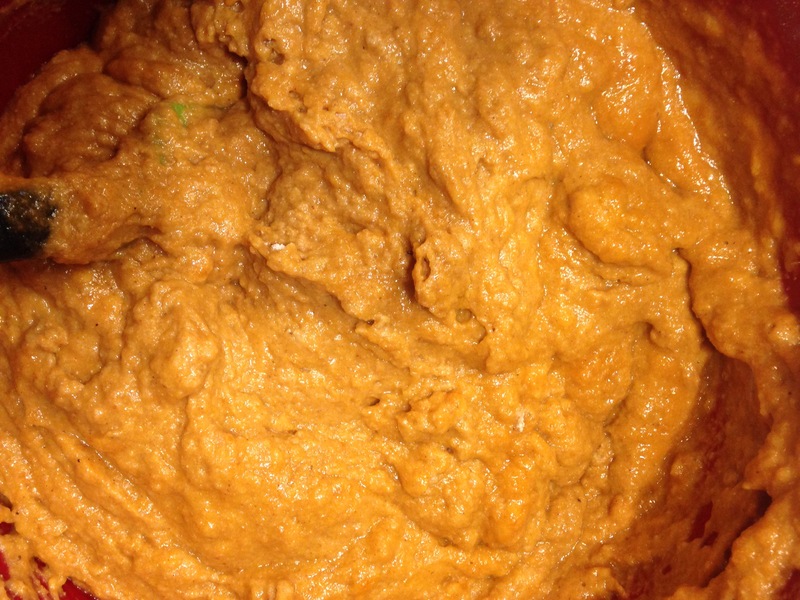 In a small separate bowl, mix the topping ingredients. 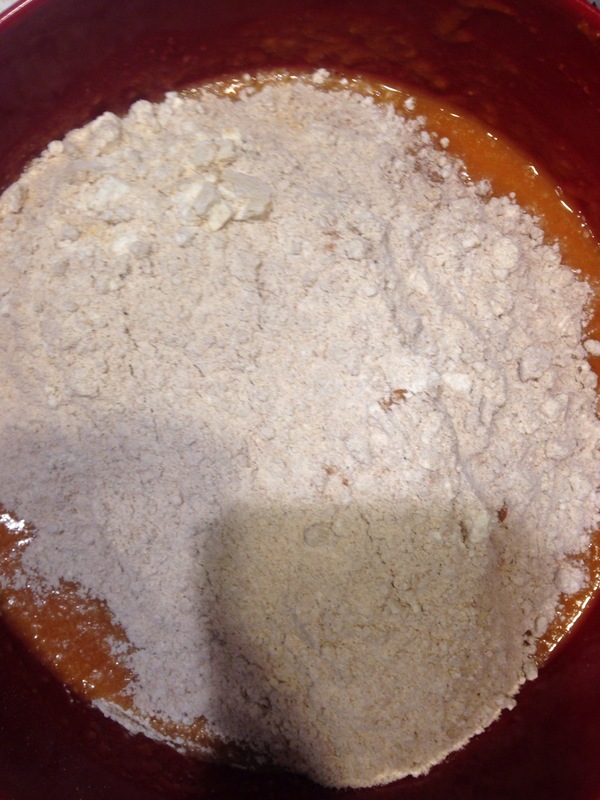 Distribute meatloaf mixture evenly into loaf pans and spread topping. Bake in the oven until meat is no longer pink, about one hour. A meat thermometer should read 160 when inserted into the center. Not an ad for the Ninja, but it did make quick work of these veggies. Not pretty, but it bakes up pretty tastily!